Alha Group is a member of the Security work group within the IATA Strategic Partnership Program. Attended by IATA member airlines heads of security, the SEC work group discusses all issues relating to the optimization of security measures to ensure safe, secure and efficient air transport. Alha, that can boast over 50 years experience in handling and transportation solutions for air cargo, is actively involved in developing guidelines to protect commercial aviation. Security is one of today’s greatest challenges for airlines, airports and governments. Alha focuses on the development of innovative security solutions to make the concept of security for air freight seamless, easier and accurate. 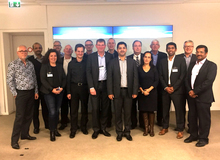 Alha Group is member of the IATA Cargo Messaging Working Group (formerly Cargo-XML Task Force) The CMWG is established as a Cargo Operations and Technology Board Subgroup. 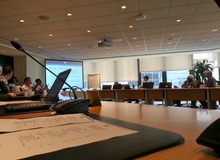 The objective of this Working Group is to provide recommendations to the Cargo Operations and Technology Board on messaging requirements for transportation and cargo messages, including the development of the new Cargo XML messages The group consist of 20 members representing the supply chain as Shippers, freight forwarders, Airlines and Ground Handling Agents. 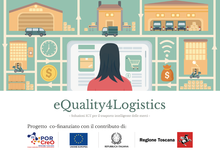 Together with Pisa Universitiy, Caen RFID Srl and Omnia Service Italia Srl, Alha is a member of e-Quality 4 Logistics*, a joint project for innovative logistic solutions development. Project supported by POR FESR Toscana 2014-2020.